Your Income Tax Return Matters | Minsky, McCormick & Hallagan, P.C. Whether you are a permanent resident, a temporary worker, or undocumented in the U.S., failure to file taxes or filing taxes incorrectly may have serious immigration implications. As such, please remember that the filing deadline for your 2012 taxes was April 15, 2013. Generally, everyone earning income in the United States has to file taxes. This is even true for an individual who not authorized to work in the U.S. but who is working and earning income. To file a tax return, an identification number in the form of a Social Security number (SSN) is required. (Visit www.socialsecurity.gov for more information). If ineligible to get a SSN, an individual taxpayer identification number (ITIN) may be obtained. To obtain an ITIN number, please visit this website. An ITIN is for tax purposes only. Please note, however, that an ITIN does not entitle an individual taxpayer to social security benefits or to change employment or immigration status under U.S. law. If a person intentionally doesn’t file his or her taxes, he/she may be guilty of a crime which could result in the loss of the immigration benefits and could affect any future applications for immigration benefits. For applications such as naturalization, and in some removal proceeding cases, a foreign national is required to show that she/he has good moral character. A finding of good moral character is both a statutory (INA §101(f)) and a discretionary matter. Failure to file a tax return may cause an immigration judge or immigration officer to find an applicant ineligible to receive discretionary benefits or to not have “good moral character.” This will further affect eligibility for immigration benefits, such as naturalization or obtaining a ‘green card’. Of course, failure to file a tax return may also have criminal consequences. Tax evasion is a serious criminal offense and is considered to be a crime of moral turpitude for immigration purposes. Tax evasion usually entails taxpayers deliberately misrepresenting or concealing the true state of their affairs to the tax authorities to reduce their tax liability. This includes dishonest tax reporting, such as declaring less income, profits or gains than actually earned or overstating deductions. Persons who have committed a crime of moral turpitude may be found by government officials to be inadmissible and ineligible for certain immigration benefits, such as filing for adjustment of status. In addition, conviction for crimes of moral turpitude can make a person removable from the United States. Finally, conviction of a crime of moral turpitude may preclude a person from being able to demonstrate required good moral character as described in point # 1 above. 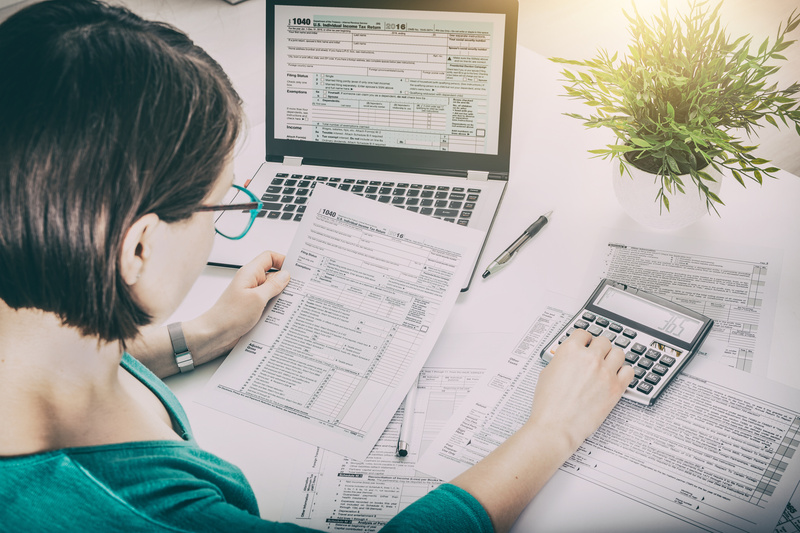 Failure to properly file tax returns can negatively impact a couple’s ability to demonstrate that their marriage is a bona fide marriage for immigration purposes. Marriage-based applicants for adjustment of status are usually asked to provide copies of their federal tax returns as evidence that their marriage was not solely entered into for immigration purposes. Jointly filed returns are generally considered by USCIS to be evidence of a “good faith” marriage. For immigration purposes, it is extremely important that a couple’s tax returns be filed correctly. A tax professional should be consulted as failure to correctly file may have immigration implications. For example, a couple that files with the incorrect status, i.e. ‘Head of the Household’ or ‘Single’, while married and living with the spouse, may negatively influence their ability to demonstrate the marriage is in good faith in the context of an adjustment of status application. Improperly prepared tax returns may negatively impact a US Citizen’s or Lawful Permanent Resident’s ability to sponsor a foreign national relative seeking to immigrate to the US. Family-based immigration petitioners are required to submit an Affidavit of Support (Form I-864) with their relative’s application for immigrant status. The Affidavit of Support requires the sponsor to submit a federal tax return for the most recent year showing sufficient income to meet the requirements. If the sponsor’s tax return has not been correctly prepared, for example, by claiming too many dependents, the sponsor may not earn enough income to sponsor a foreign national relative. The more dependents a taxpayer claims, the more income the sponsor will have to show to be able to complete an affidavit of support for the foreign national. Special care should be taken before claiming to be a ‘nonresident’ on a tax filing. This can result in abandonment of Lawful Permanent Resident status. Under the regulations, a permanent resident who claims nonresident alien status for income tax purposes in order to qualify for special exemptions from income tax liability, or a permanent resident who fails to file either federal or state income tax returns because he or she considers himself or herself to be a nonresident alien, raises a “rebuttable presumption” that the applicant has abandoned the privileges of permanent resident status in the U.S. Similarly, former US citizens may find themselves ineligible to return to the US if they have renounced citizenship for tax purposes. Under the immigration laws, a person may be found inadmissible if he/she renounced citizenship for the purpose of avoiding U.S. taxation. Minsky, McCormick and Hallagan P.C. strongly recommends that persons with tax questions contact a qualified tax professional. MMH only advises clients in immigration law — if you have questions about your immigration status, please contact us.